With nine original courses sprinkled across the Island designed by the likes of Donald Steel and Seve Ballesteros integrating many natural elements and local vegetation of Tenerife, there’s something for every taste and skill level. From Buenavista Golf situated atop cliffs overlooking the azure Atlantic with Tenerife’s dramatic Teno mountain range as a backdrop, to the stately and exclusive Real Club de Golf, the second oldest golf club in Spain with breathtaking views of Mt. 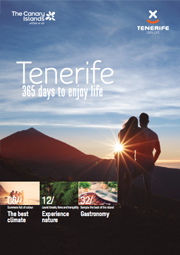 Teide, you’ll find it all on Tenerife.